At Wireless Warehouse, we know how valuable your time is, and we want to make it easier for you. That is why we offer Mail-in repair, so you don’t have to be inconvenienced when your smartphone, tablet, or laptop needs a repair. Best of all, the service comes with FREE SHIPPING. Our Mail-in repair services are so easy and convenient, that you’d never have to come to a shop to get your devices fixed ever again. 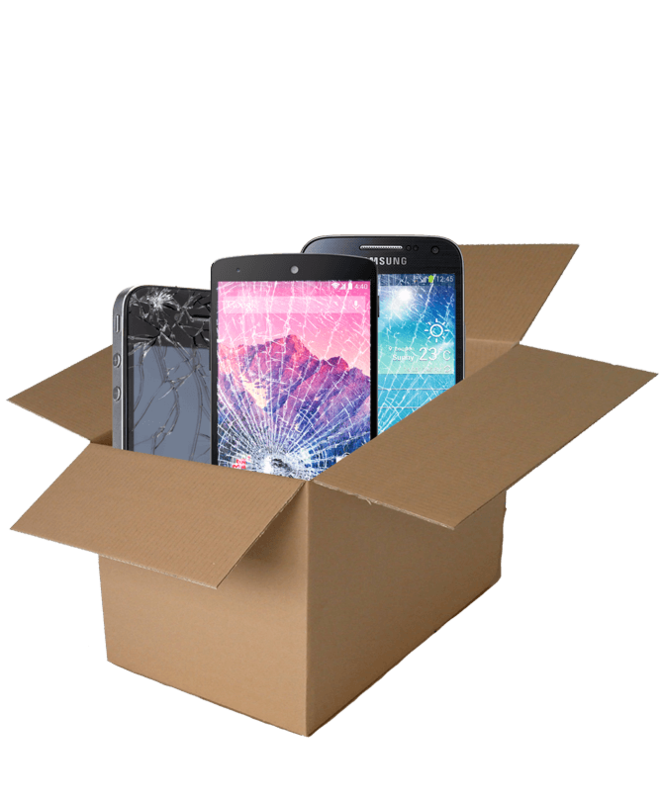 Getting your devices shipped for repairs is as easy as 1-2-3. STEP 3: Agree to the quote. STEP 4: Pack it securely in a box with bubble wrap and send it to us. Once you have submitted the order we will send you your initial quote via email. After we have received the device, our technicians will appraise the device, and will send you another email notifying you of the diagnosis. Afterwards we will start with the repairs and send it back to you when it’s done. Fill out what’s wrong with your phone/device. Submit the order through the shop (View cart, checkout, etc). We’ll see it on our end and update your order with a quote. You can also send in payment right from that screen!